With this weekend being a long weekend, due to it being Queen’s Birthday, I decided to head down to Hamilton to do some observing with Dave Brock. 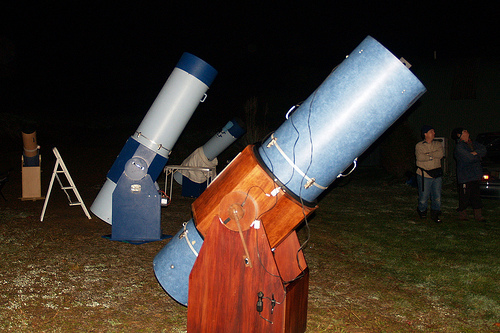 I booked some accommodation earlier in the week and looked forward to some good observing. I headed down early on the Friday afternoon and arrived in Hamilton at about 3:30PM. But it was completely cloudy. I cancelled the accommodation there and then and then headed to Dave’s place and waited for it to clear. It never did enough to head out, so I headed back to Auckland. However, the next day was clear in both Auckland and Hamilton, so I took another punt and drove down the 1 1/2 hours again. The Waikato was foggy and we needed to get above the fog, if any observing was going to happen. Dave and I loaded our scopes into his van, and decided to head south to the Kawhia Rd, to a farm owned by a member of the Hamilton Astronomical Society. We met Jethro and then drove the 45 minutes to the farm. Alan Kane had also travelled down from Auckland, and was there when we arrived. 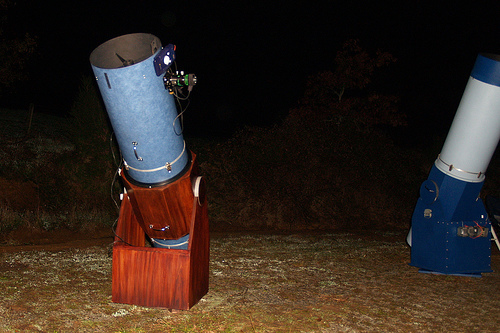 It was very clear so we set up and go ready to observe. I had spent some time planning for this weekend and had the Argo Navis loaded with objects, all not seen or not seen for some time. Comet clearly naked eye from this rural location. Has a brightening in the core but no nucleus. Appears as a unresolved globular cluster or a large elliptical galaxy. Probably between mag 5.5 & 6.0. Small diffuse comet located in Hydra. No real detail but clearly visible. Probably in the order of 12th Mag. Naked eye open cluster spanning 5 degrees in size. About 20 members brighter than 6th mag. Low down Messier galaxy not seen for about 5 years. Pretty murky and not very contrasty but very obvious. Strong core. An remarkable galaxy, edge (10:1) with a prominent dark lane. Very easy and a showpiece object. A large, leak globular cluster, partially resolved at this power. Ill defined. About 10' in diameter but even this is hard to determine. Messier galaxy down low in the North. No apparent detail due to low contrast. Globular cluster that you could mistake for a galaxy. Round and conspiqous with a strong core. Small edge on galaxy with a strong core. Looks lenticular but has length when viewed with adverted vision. Probably 4:1. Large diffuse galaxy that appears to be about 5:2 long. No apparent detail in the halo. Small galaxy of even brightness. A 11th mag star appear close in on the S side. An almost identical galaxy, albeit fainter, to the nearby NGC4216. Long and skinny with a bright core. A long skinny galaxy about 6:1 with a bulge and a strong core. Easy. Nice contrasty views of the Leo Triplet. Irregularity noted in all three members, and NGC3628 was as good as I have ever seen it. Memorable for a often visited object. Nice grouping of three very similar round galaxies, with a couple of fainter members. The three are NGC4281, NGC4270 & NGC4273. The more faint galaxies are more extended and fainter. They are NGC4277 & NGC4268. Small 2:1 galaxy with no apparent core. Has a wispy looking halo. Large Messier galaxy with an irregular halo, and a strong core. Slightly more oval than round and very conspiqious. Markarian Chain member. Nice cintrast views on the whole 13 members. All easy and bright. This region is dominated by the two large ellipticals M84 & M87. Bright galaxy moderately large, probably 2:1 oval in a line of 10th mag stars. Very bright core, tending stellar. Round Messier galaxy, with a brighening core, however the halo is ill defined. Easy. Bright large Messier galaxy with a large core which brightens toward the centre. Has a pair of stars to the S about 5 arc minutes away. An evenly bright galaxy that looks like a smear, 4:1 oval. Open cluster with about 40 members, with about half brighter than 10th mag. Very starry field and difficult to determinw whether some of the stars are actually field stars. Fairly large and loose globular gluster. Not fully resolved. Probably type 12. Very uniform stelar magnitudes in this cluster. Edge on galaxy, probably a 3:1 oval. Has a small bright core. Compact galaxy, bright and long 3:1 oval with a strong core. Located between two 7th mag stars. Large diffuse, more oval than round, galaxy. All evidence points to a face on spiral. It has a small bright core and a ghostly glow about the halo. A ghostly looking galaxy with a small but noticable core. Probably a spiral. Oval and not difficult. Bright Messier galaxy with an even brightness, with a hint of a core. Not remarkable for this region with many galaxies looking similar. Two small interacting galaxies, that are even in brightness. Looks like a fainter version of the Ringtail galaxies. Fairly bright and large galaxy. 3:1 oval with a strong core. Small compact conspicuous galaxy. Round with no other detail noted. Large Messier globular. Fairly large globular but fairly loose. Nice. Wide oval galaxy with not much detail. Hazy and unremarkable. Very faint galaxy with possible core. No detail noted. Small unremarkable open cluster. Has a 7th mag star in the centre and has about 20 members, 8 of which are brighter than 10th mag. Bright, edge-on galaxy with a strong core. Possible mottling in the halo. Has a triple star grouping 7' to the SE. Small compact nebulous patch that needs more power, despite this this object is not too difficult. The observing session was definitely punctuated by cloud. Large banks of cloud rolled in for extended periods and then cleared again. So we were observing then standing around talking, then observing again. Despite this I logged many objects and was efficiently moving from object to object. The Argo Navis performed well and I had no problems with any gear. I had the dew heaters cranking and did not suffer from any problems with dew. Although I wish that I had bought the built in secondary heater when I purchased my spider from Protostar, because I was pretty certain that the secondary would have been vulnerable if we had clear skies consistently for a few hours. Every time in cleared you could see the mist form. Good to catch up with two comets again, and also the heart of the Virgo Cluster, Markarian’s Chain. Eventually light drizzle started and we packed up quickly. We were in the van ready to head home at 12:01am. We reckon that the farm was likely to more cloudy that the surrounding area due to it’s location close to Mt Porongia. The trick is to find a site above the fog, in the predominately flat Waikato region. This is going to be a challenge in the future. An excellent night, despite the cloud.